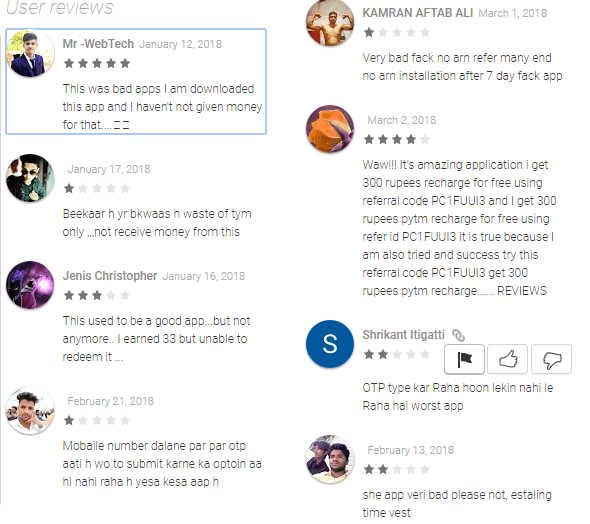 Frizza App Review: Is it Legit or Scam? Frizza is Free Recharge app. From this app, you can earn cash for completing offers and inviting your friends. Cashback when on shopping at the given online stores. You can earn Rs. 5 per friend that enters your referral code and completes an offer. You will also get a bonus of Rs. 10 when you refer 5 friends (25+10=Rs.35). You can use the cash to recharge or transfer it to your Paytm account. Simple sign up process and easy to use. Gives cash for each offer and not points. So you know what you're getting. Not many ways to earn. You can only earn cash by completing app download offers and cash back offers. Lots of negative comments about the Frizza app. Like I said before, almost all the comments on the Play store are negative.